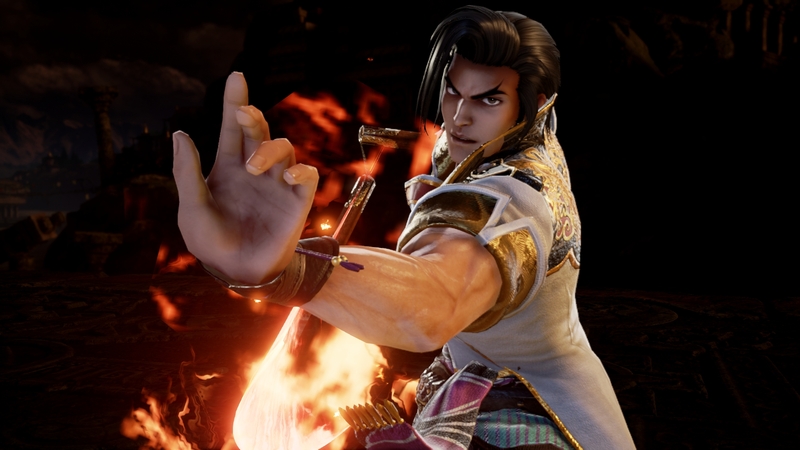 Bandai Namco has confirmed that the ol’ nunchaku-wielding master will be back on SoulCalibur VI. That’s right, Maxi, the “Dandy of the Sea,” will be joining the fray! Maxi is a favorite of many players due to his high speed moves and deadly mix-ups and combo variations, not to mention being flamboyant as hell. He will once again be wielding his prized Fatibal nunchaku from the earlier SoulCalibur games instead of his other pair, Soryuju. Maxi practices Shissen Karihadi, a fictional fighting style that involves fast, flicking movement with his weapon combined with an equally fast footwork and deadly kicks. We have covered many other characters joining in on SoulCalibur VI, so if you would like to know more on who will be on the roster, do check it these out! There’s even a rumor that Roronoa Zoro from One Piece will be joining in as well! SoulCalibur VI will release for the PlayStation 4 some time in 2018.